The first thing that caught my attention for The Jewel, was the cover. It’s GORGEOUS! I threw the don’t judge a book by its cover rule right out the window on this one. Not even knowing the summary, I knew I wanted to give this book a read. Once I knew it was a dystopian? It became a MUST read. Violet was a fantastic main character. She was instantly intriguing and I would love to know more how these mysterious powers are passed along through families. Especially why only the females have the gene. I understand why the royalty brought in surrogates for a while, but after a while, I don’t understand why the practice wasn’t thrown out. But if it had been, there wouldn’t be a story! Other than the unexpected romance twist, the BIGGEST problem I had was the lack of historical explanation. I wanted to know what happened to create this government. In most cases it’s been war, but nothing is said. It’s kind of explained how this government formed, but not the situations that made it necessary. As this is a trilogy, I’m hoping it will be explained in the future! This was totally capable of being a full 5 star rating, but I didn’t care for the eventual romance. In a way, I was hoping it wouldn’t be a factor in the book at all (I am firmly in the a book doesn’t HAVE to have romance to be a good book camp). I was also figuring the romance would be with someone else. Since I was expecting it to be with an entirely different character, I was a bit disappointed with how things panned out. Along side Violet, there is an incredible cast of characters that gives such depth to The Jewel. I had a love-hate relationship with the Duchess. I want to know what’s happening to Raven. Lucian is totally a new Cinna and I love it. I’m most intrigued by Garnet. I want him front and centre in book 2! Just when you think you have things figured out, Amy takes things in another direction. I’m so interested and excited to see where things go from here. The cliffhanger at the end is BRUTAL. That’s one of the downfalls of reading ARCs or starting a new series that isn’t completed. The wait is going to be a tough one! I need book 2 NOW. 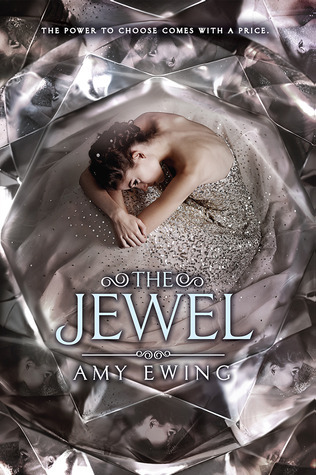 I definitely recommend The Jewel to dystopian fantasy readers. It’s an intriguing and quick read. It definitely keeps you on your toes and guessing what could be coming next. I plan on continuing this trilogy and definitely plan on purchasing a finished copy! The cover is beautiful and will make a gorgeous addition to my shelves. 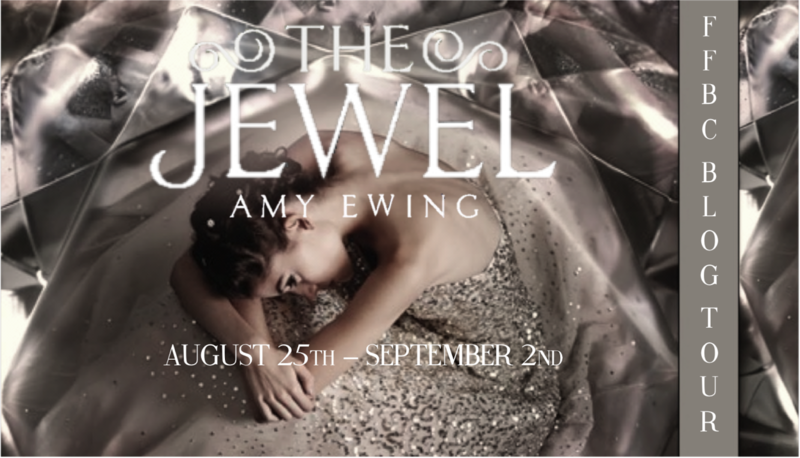 Follow the FFBC The Jewel Blog Tour and don’t miss anything! Click on the banner to see the tour schedule.